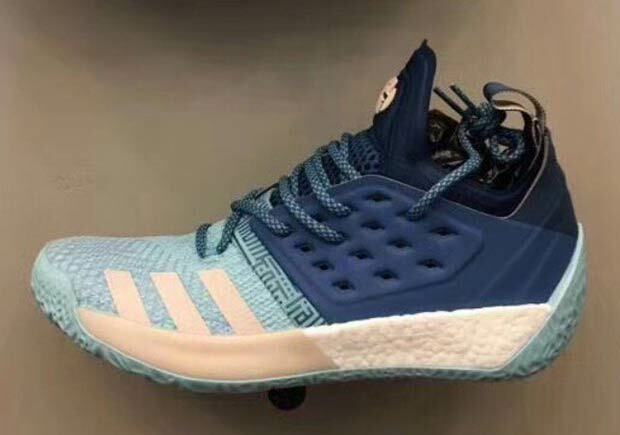 Is This The adidas Harden Vol. 2? Next month marks the one year anniversary of the official debut of James Harden‘s first signature shoe with adidas, the adidas Harden Vol. 1. 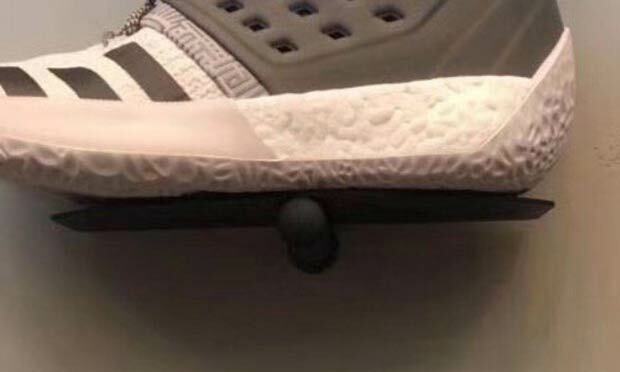 There have yet to be leaks of his second signature shoe model, but these recently surfaced images of an adidas Basketball shoe bearing Harden’s medallion logo may just be Harden Vol. 2. The upper is completely redesigned as it makes use of a sock-like bootie and a panel devoted to lace holes for custom lacing options, but the true prize is the sole as it boasts the thickest BOOST sole we’ve seen with a heel traction that wraps up the heel. Release details for the adidas Harden Vol. 2 have yet to be revealed, so stay tuned. Harden also has a takedown signature shoe model called the Harden BTE releasing this season as well.